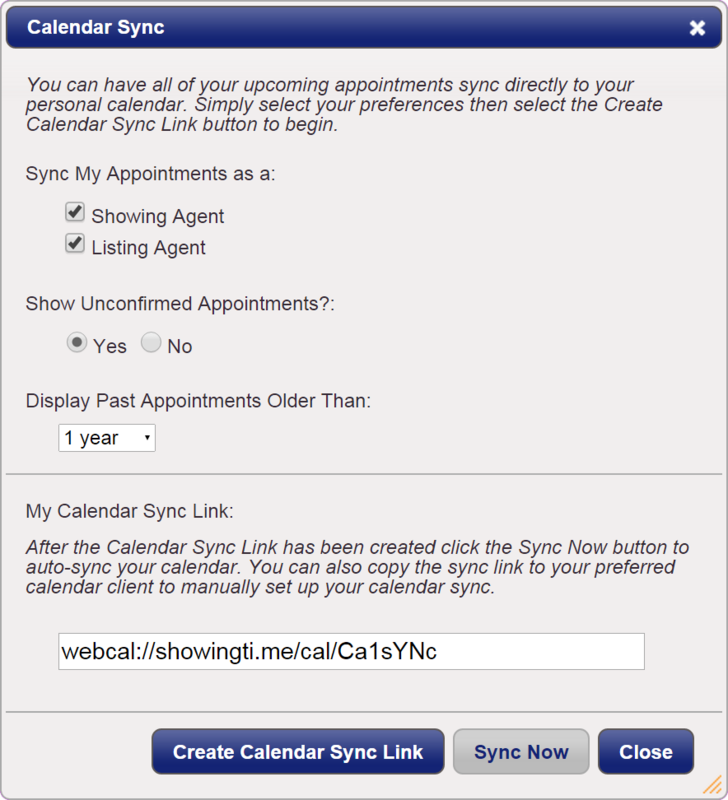 With Calendar Sync, you can have all your upcoming appointments synchronized directly to your personal calendar, which can be accessed through your preferred calendar application or on your mobile device. 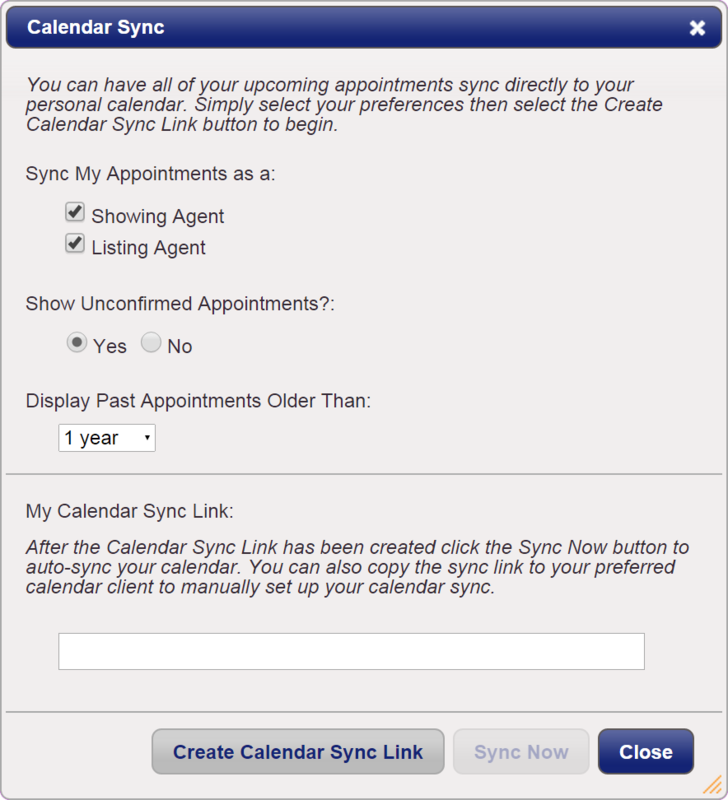 Choose the time frame for which you would like to synchronize past appointments. Click the Sync Now button. You will be prompted to open your default 'Calendar Application'. 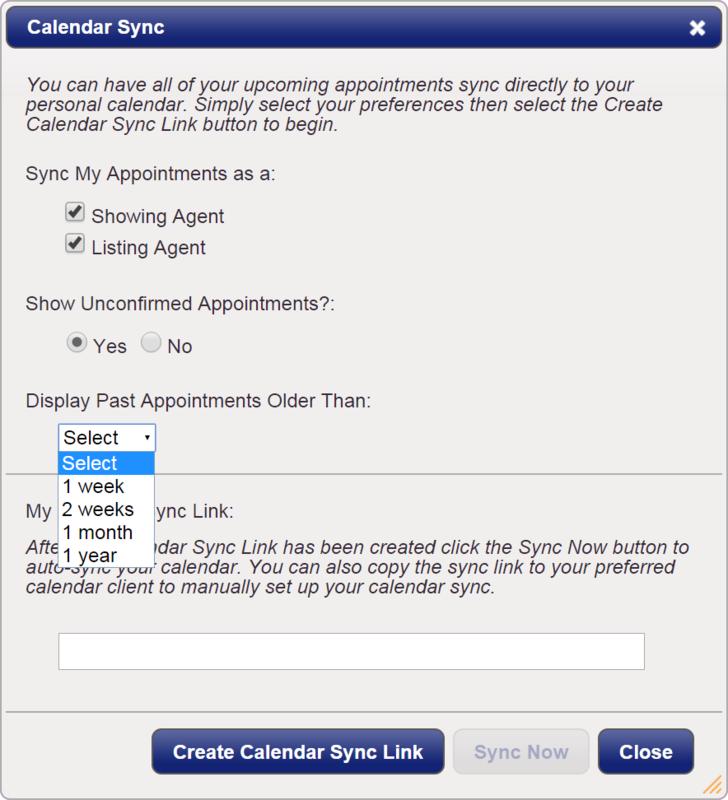 Copy the Calendar Sync Link that was created in the above steps. Click the plus sign next to 'Add a friend's Calendar'. Paste the Sync Link URL. Click the Add Calendar button. Click the Manage Subscriptions 'gear' icon. Select Subscribe to Other Calendars. Note: Due to the nature of the .ics & webcal calendar feeds feature that sends data to third-party programs, only a limited amount of troubleshooting can be provided (troubleshooting third-party software is beyond the scope of ShowingTime support).